This week something special is happening. Yes I know its Christmas week, and I am very much looking forward to the howliday – but that isn’t what I’m talking about. I’m talking about the Tod Slaughter Blogathon that is going on all week long, spearheaded by Joe Monster over at the From Beyond Depraved blog! 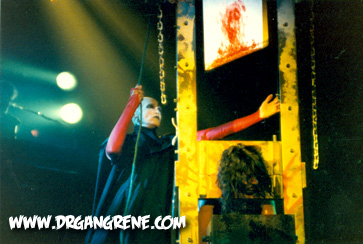 All week long bloggers all across the cybersphere will be writing about Tod Slaughter. What’s that? You’ve no idea who Tod Slaughter is? Well that’s okay, you’re in the majority. Nowadays not many people remember Tod Slaughter – but back in the 30’s and 40’s in jolly old England Tod Slaughter was a well known horror movie actor. He did some stage work before finding his true calling in cinema, and one of his earliest and perhaps best known roles is that of Sweeney Todd in SWEENEY TODD: THE DEMON BARBER OF FLEET STREET. This movie was made in 1936, 71 years before Johnny Depp and Tim Burton would put out that musical monstrosity based on the same character. Sweeney Todd is the tale of a barber by the same name who gave his customers a shave that was a little too close for comfort - he would murder them for their money, or “polish them off,” as he was apt to put it. He disposed of the bodies with the help of his accomplice, Mrs. Lovett, who would bake their bodies into meat pies and sell them to the unsuspecting public in her pie shop! The businesses of these partners in crime and cannibalism were attached by means of a shared basement, again unknown to the public. This movie is actually based an old English folk tale that dates back to the early 1800s. 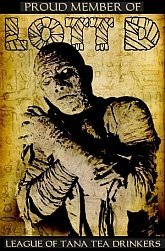 There is some debate whether it is a true story or folklore – I like to believe it is indeed based on fact. 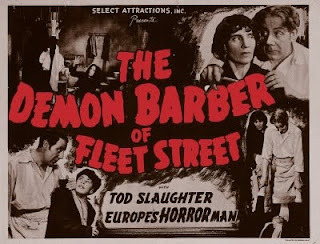 In the Tod Slaughter movie, he invites wealthy clients into his barber shop for a shave and a haircut. Oftentimes he singles out weary sailors just returning from months long voyages at sea, their pockets brimming with their newly gained pay. He would seat them in the barber’s chair, lather them up for a close shave before “polishing them off.” What happened next was Sweeney would throw a hidden lever and the chair, which was actually located on a trap door, would flip over, dumping the unsuspecting victim into the basement. There the victim would crack his skull on the concrete below, and Todd would follow them down with a straight razor and slit their throats for good measure. Them Mrs. Lovett would take over, baking their remains into meat pies and burning the bodies in a large oven to dispose of the evidence. In the film version the cannibalistic overtures are severely toned down and merely hinted at: after all, this was 1936, and this is some pretty gruesome subject matter we're talking about. Sweeney Todd is a sneaky cuss though, and he cheats his business partner at every opportunity, hoarding away jewels and cash before she knows about it. Todd Slaughter plays the role with gusto, bringing a real maniacal zeal to the part of Sweeney Todd. His diabolical laugh, charming smile, and over the top delivery make for a rollicking good time. It is easy to see why Slaughter became popular. He would go on to make a number of successful horror movies including The Crimes of Stephen Hawke, The Face at the Window, and Crimes at the Dark House. 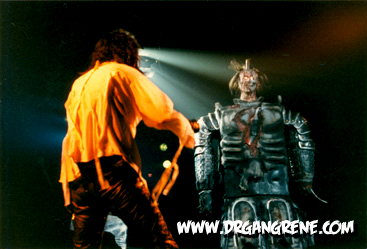 But it is his portrayal of Sweeney Todd that he is best remembered for - definitely one worth seeing. Here's to Tod Slaughter, the grand old maniac of British cinema! And for a final treat - here's the entire movie, SWEENEY TODD THE DEMON BARBER OF FLEET STREET - Scary Christmas!! 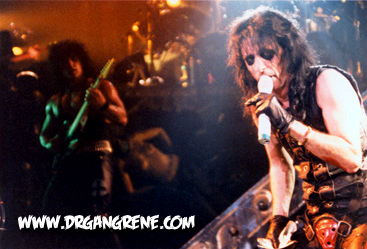 The Rock and Roll Hall of Fame announced yesterday that Alice Cooper is among the latest inductees. All I can say is – about Damn Time! 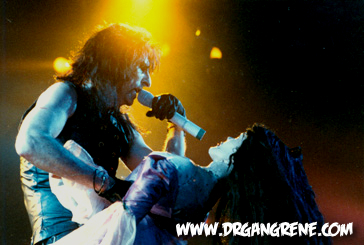 Alice Cooper is probably the person who is my single greatest influence, both in my career as a horror host and a singer in a horror band. I first discovered Alice when I stumbled across a box of cassette tapes of my uncles. 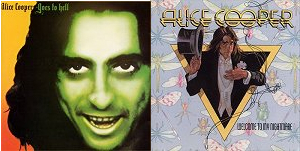 They were tucked away in an upstairs closet at my grandmother’s house, and at the time I didn’t know Alice Cooper from Alice in Wonderland, but something made me give them a listen. 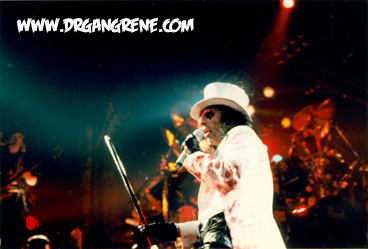 The two Alice tapes he had were Goes to Hell and Welcome to my Nightmare… my world was changed. I had never heard anything so cool in my life! This guy was singing about spiders, and death and necrophilia and he even had Vincent Price on his record!! I wore those tapes out and started buying every Cooper album I could get my hands on. By the time I was in college I had them all, from Easy Action and Pretties for You all the way through Da Da and Special Forces to the newly released Constrictor. He actually put this monster together via an old magician's trick. He had a series of empty boxes he showed to the audience. He stacked them up on top of one another, stuck an arm on one side, then the other, a head on top, then the thing got up and waled around while he sang Teenage Frankenstein. 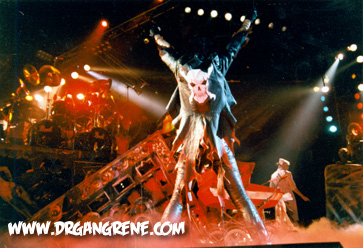 When the song was over he kicked the monster over and they were just empty boxes again. Sweet! ELECTED (to the Hall of Fame - yay!)! 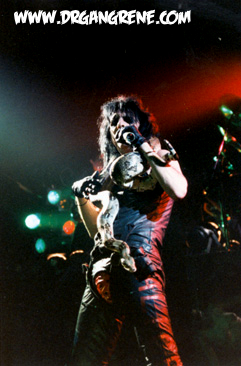 Alice's monster guitarist, Kane Roberts. Dude was ripped! Not sure what he was singing here - perhaps Sick Things. If you are touring for an album called Constrictor you gotta have a boa! Cold Ethyl - still frigid as an eskimo pie! Stage dancer who shook her money maker - and helped torture Alice. I think she came out during the song Go to Hell. I remember I dressed as Alice one Halloween in college – I have a picture somewhere and if I find it I’ll post it too. 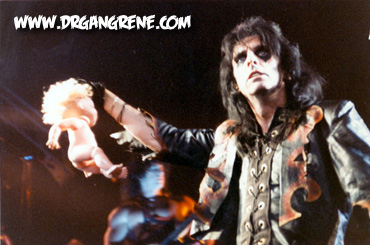 I took my youngest son to see Alice twice this year on the Gruesome Twosome tour with Rob Zombie. You can imagine my pride when we walked up to the merch table and I told Luke he could pick one tshirt – so he had to choose between Rob or Alice – and he chose Alice. That’s my boy! 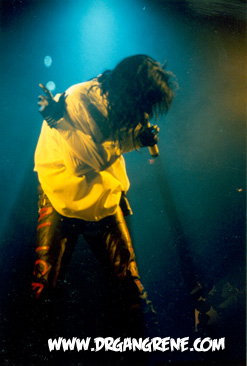 I’ve been hosting horror movies for a dozen years now, wearing costumes and makeup much like Alice, and I even sing in my own shock rock band now, so I feel the Alice influence has come full circle. I really hope to get to meet him one day and shake his hand and just say thanks for everything. 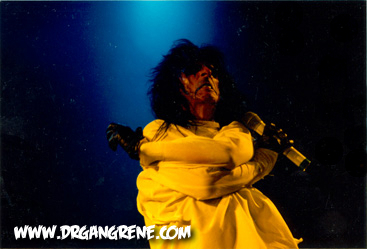 Alice is a one of a kind, a true innovator and a worthy addition to the Hall of Fame. Here’s to you, Alice. You rock! 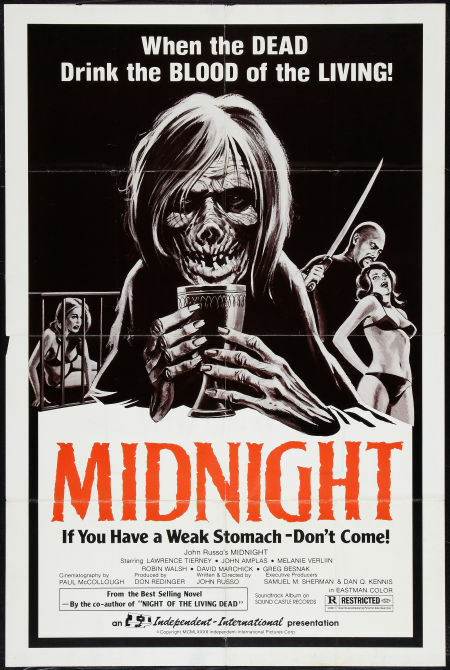 This is a really cool poster I ran across recently - it is for a movie called Midnight. Not only have I not seen this one, I was not even aware of it. It was made in 1982, and was written and directed by John Russo. Wow! How'd this one escape my notice? GREAT tagline... When the dead drink the blood of the living! Man you gotta love the internet! Guess I have me some late night movie watchin' to do!! Did a bit of housekeeping here on the blog-site, and added a new layout template. Hope you guys like it. It has some of the same features but an updated feel to it, as well as the featured video link. It has been a cold weekend here in TN and a snowy one too. Hope you're all staying warm. Here's a cool little video I ran across on youtube recently - it is the two greatest horror icons, Bela Lugosi and Boris Karloff singing a song called "We're Horrible Men." 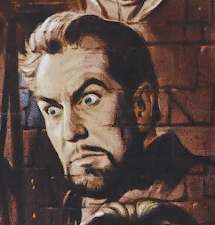 Not sure what this is from originally, a radio show most likely - According to the person who posted it on youtube it came from a Bela Lugosi compilation CD called "Bela Lugosi: Hollywood's Dracula." Pretty darn cool! 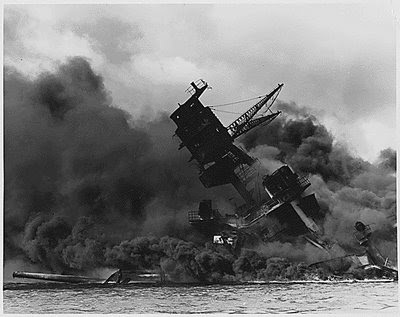 69 years ago today the Japanese launched a cowardly sneak attack on American forces stationed at Pearl Harbor. December 7th, 1941 will always, as President Roosevelt proclaimed, be remembered as “a date that will live in infamy.” Here’s to the close to 2500 soldiers and civilians who lost their lives that day. Gangrene Giveaway - Win Free Paul Naschy original art! Last but not least for the Paul Naschy Blogathon I am kicking off my latest Gangrene Giveaway, a piece of original art by comic artist Rob Brown. He did a fantastic drawing of Paul in full wolf form - to win this, all you have to do is subscribe to my youtube channel and leave a comment on the video page there telling me what your favorite Paul Naschy film is. That's it - I'll pick a winner in a few weeks!! thanks to the Vicar and Due for hosting the Naschy Blogathon - it's been a blast!! The Serra Navado is a high range of mountains that lie outside Madrid. It was winter and very, very cold indeed... miserable. I had never worked with Paul Naschy (before). On and off the set he sadly had no personality at all, he never spoke to me. I never saw him talking or walking around where we were shooting... most strange. I've never had this experience before, ever. He was pleasant, that is all I can say, professional. I am just pleased he did not flirt with me. Very strange indeed, I just never saw him. I think the part was quite challenging. Sounds to me like Naschy was a bit stand-offish, but still friendly when working together. In my opinion he was probably just very focused on his work, all business. As she says, he was professional, and pleasant. He also was a family man, so the fact he didn't hit on her is good news. Interesting peek into Naschy circa 1972, on the set of Dr. Jekyll and the Werewolf. Paul Naschy was born on September 6, 1934 in Madrid, Spain. His birth name was Jacinto Alvarez Molina. The Spanish Civil War broke out shortly after his birth, lasting from from July 1936 to April 1939. It was a violent war that affected the entire country, and an estimated 500,000 lives were lost during the conflict. The post-war years had to make for a tough childhood. A new authoritarian, fascist regime had taken over and the country was trying to rebuild itself. Add to that World War II, which lasted from 1939 to 1945, and this was a highly volatile period of young Jacinto’s life. 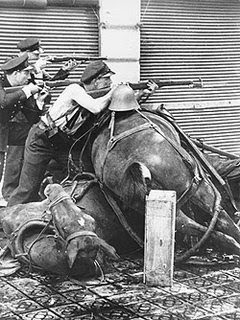 Spain was able to avoid directly entering WWII, but they were in constant danger of being dragged into the conflict, especially with fighting taking place in nearby France and Hitler demanding Spain join the Axis forces. There was warfare in Jacinto’s life until age 11 – a difficult thing to imagine nowadays. During these years movies were a rare treat that Jacinto’s mother would take him to when possible. One can imagine how much these afternoon escapes must have meant to him. A chance to get away from the horrors of real life and disappear into a darkened room for an hour and a half (or so) must have been bliss, especially when the movie was one such as young Jacinto saw one afternoon at age 11. 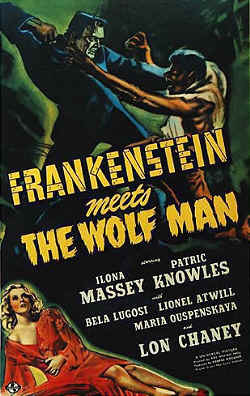 Universal released the first of its monster rallies, FRANKENSTEIN MEETS THE WOLFMAN, in March of 1943. Studies have shown that during times of warfare there is an increase in production of horror films, and this was definitely the case with Universal in the 1940s, which put out no less than 23 horror pictures from 1939-1945. A print of FRANKENSTEIN MEETS THE WOLFMAN made its way from America to a theater in Madrid, Spain, in 1945, and it was there that a future film legend was born. 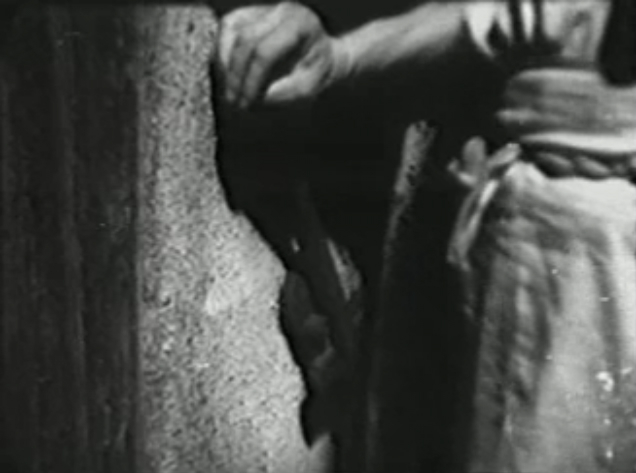 This film made a major impression on Jacinto and would later be cited by him as a leading influence on his own horror film career. I wonder what writer Curt Siodmak would say about his film being the catalyst for a future film legend? 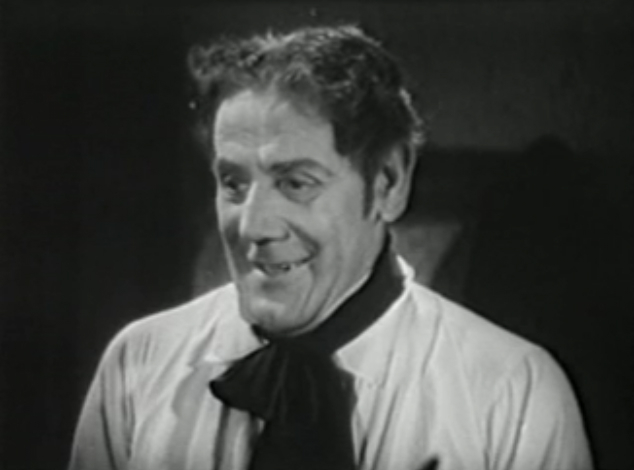 I also wonder if Naschy ever got a chance to meet any of the folks responsible for FRANKENSTEIN MEETS THE WOLFMAN, such as actors Lon Chaney and Bela Lugosi, writer Siodmak, or makeup artist Jack Pierce, whose amazing wolfman makeup undeniably influenced his own werewolf makeup as character Waldemar Daninsky. Jacinto got into the film industry at age 26, working for years in mostly uncredited roles until 1968 when he made the first of his werewolf pictures, LA MARCA DEL HOMBRE-LOBO, a.k.a MARK OF THE WOLFMAN, best known as FRANKENSTEIN’S BLOODY TERROR, a film he himself wrote and starred in. This was the first of two werewolf pictures he would make that year, the other being LAS NOCHES DEL HOMBRE LOBO, a.k.a. NIGHTS OF THE WEREWOLF. (1996) - Licántropo: El asesino de la luna llena ... aka "Lycantropus: The Moonlight Murders"
So besides being a terrific film (it is one of my favorite Universal pictures), the fact it inspired young Jacinto to go on to an influential career as a horror star is yet another reason to love FRANKENSTEIN MEETS THE WOLFMAN. Here’s to Waldemar and Lawrence, may they stalk the silver screens forever.